The Office of General Affairs is committed in making a positive contribution to the growth and development of National Chung Cheng University in its pursuit of excellence. Its primary principle of work is to take the initiative in making innovative plans and in delivering high quality services. 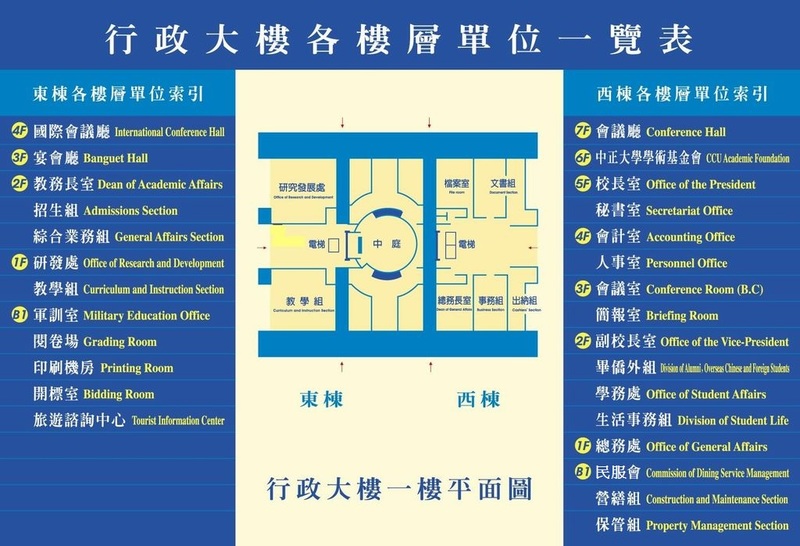 It is primarily composed of five offices with two affiliated sections; The Dean of General Affairs, General Services Division, Cashier Division, Property Management Division, Construction and Maintenance Division, Campus Security, and Campus Services Committee. With these components in our university, they provide a wide range of professional services that support the university.